I adore Frank Cottrell Boyce. Millions, to me, remains one of the great pieces of perfect children’s literature. It is the book that I would have written if I could, if it had not already been written to such perfection beforehand. Framed is a similarly joyful thing. Dylan lives in Manod, a small town in the depths of Wales which pretty much defined the phrase ‘the middle of nowhere’. He’s the last boy in the town as well, following one family moving away, and now all he has to do to keep himself busy is maintain the customer log at the family business – the petrol garage. He and his family are struggling, and then one day some unexpected visitors come to town (and they’ve got some of the most priceless pieces of art in the country tucked up in their lorries). Framed is a story about how art touches us, how colour touches us, and the transformative power of such things. It is, more than a little bit, very lovely. I adore how Boyce writes about family and relationships; I love how he embraces the awkward frustration and rampant love of a close-living, tight-knit family and spins this out to create a whole cast of vivid, believable characters. Boyce is so good at this, so good. The art part of this book is a delight too. Through various circumstances (which I’ll not spoil), Dylan ends up being viewed as an art expert, primarily for his ability to wax lyrical about Raphael, Donatello, Michealango and Leonardo. 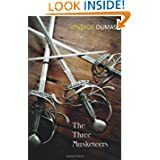 These are, as the observant amongst you may realise, also the names of the Teenage Mutant Ninja Turtles (and with a new film coming out, this might be a lovely book to sneak into a bookshelf right now). I love Boyce. I love what he does. I love that he writes everything he touches with such utter, ineffable grace, love and skill. He’s a gift. Frank Cottrell Boyce writes magic. I am of no doubt that pretty much everything he publishes in the realm of children’s literature will be thought of as utter classics in the years to come. And, to be frank, they should be sung and danced about now for his books are magical classics already. I love Millions. Millions is my desert island book of choice. But I think The Unforgotten Coat might come very close to usurping it. The Unforgotten Coat of the title belongs to Chingis, one of two Mongolian brothers, who Julie knew as a child. They turned up at her school one day, and Julie still remembers every moment of her time with them. In flashbacks, Julie tells us the story of how Chingis asked her to be their “Good Guide”; a sort of guide to the new culture they found themselves in. Julie even taught them football – by borrowing next door’s ball, and then when that didn’t prove enough, borrowing next door’s boy. But there’s something very wrong with the two brothers. Chingis tells Julie how he and Nergui are being chased by a demon – a demon who “makes things vanish”. And it’s Julie’s slow discovery of the truth about the demon – and about the boys themselves – that forms the sad, painful truth of this story. Conceptually, this book is beautifully packaged. It’s part of the story itself; pages are lined as in like an exercise book, and it’s interwoven with polaroid pictures that form part of Chingis’ narrative. It’s superb work and needs recognition. Cottrell Boyce writes this book with a very brilliant simplicity. He has the gift of insight; we are wholly able to lose ourselves in Julie and can’t help but feel her confused pain when the book comes to a resolution. I loved this book. It’s quick to read, but the impact of it is huge. It is a bold, emotional story that hits you very deep. I’d like Frank Cottrell Boyce to stop being so good now please. I came to this after watching the amazing animated film (I’m ALIIIIIIIIIIIIIIIIIIIIIVE) and fell in love. 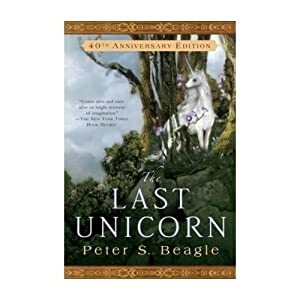 It’s a fantasy classic that tells the story of the last unicorn and her journey to find all the others of her kind. It shifts from pantomine, to pathos, to heart-breaking. Beautiful. 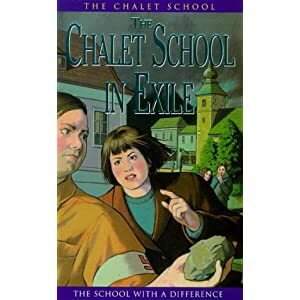 Similar to : the rest of the Chalet School series. Start with The School at the Chalet. A ridiculously stunning book, Millions is the one book I would have loved to have written. Brothers Anthony and Damien have a whole shedload of money fall into their hands after witnessing a train robbery. Trouble is, they only have days to spend it because Britain is about to join the Euro and the money they’ve found is all in pounds. This book is very very perfect and Damien is an amazing character. Similar to : Nothing. Perfect. Go read it. 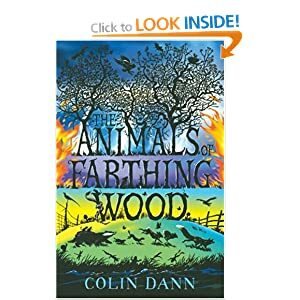 Dann was a keen naturalist and it shows in this tale of animals banding together to find themselves a new home after their current is threatened by the encroachment of man. Writing the animals as Fox, Vixen, Badger etc, Dann carefully avoids sentiment and over anthropomorphising and creates a thrilling animal saga. 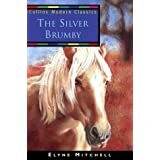 The Silver Brumby is one of the richest books I know. Set in the wilds of the Australian outback, it is the story of Thowra – the silver brumby. The first of a massive (and gorgeous) series that sings with love for the landscape it is set in, it’s a treat for horse-lovers that remains beyond compare. 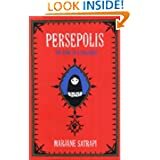 An intensely vivid and personal graphic novel, this is the autobiography of Marjane Satrapi, a girl growing up in Iran during and after the Islamic revolution. Full of a witty, and sharp sense of humour, and also a sardonic self-reflection on life, this book is superb. Similar to : the film version – also very very brilliant. 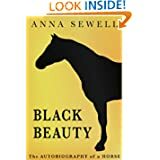 Nominally a book about a horses life, this proto-animal rights book remains superb and relevant to today. There’s also a rite of passage in it that every reader must go through – frankly, if you don’t weep buckets when XXXXXX XXXXXX then I’m going to come and have a word. Shakespeare gets a bad rap sometimes and it’s not fair. This play is brilliant. There’s death, witches, ghosts, trees and come-uppance(s) a plenty. I love this play and it is very much worth reading. Take the lines out of the book and play with the language. I still love the witches parts for example. 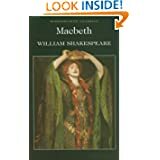 Similar to : The Duchess of Malfi (but there are MAJOR adult themes in that one so be warned). 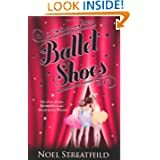 Streatfield wrote a ton of stuff about children on the stage and exploring alternative avenues of fulfilment (ice-skating, circus(ing) etc). This is one of her best-loved and it’s endured for a reason. The story of Pauline, Petrova and Posy remains engaging, warm and very very lovely. I read a lovely article recently where Mariella Frostrup discussed her ten most life-changing books. Typically I can’t find this article to link to (my information warrior powers are sleeping on the job) so, as I was somewhat inspired by that article, here are five books which changed my life. Obviously a lot of them have a children’s literature slant, what with this being on my blog and all, but there are a few oddities in there. And I promise I’ll link to that article when I find it again. (Also, I’m aware I could do a version of this article which focuses solely on girls school stories so beware, you’ll be getting something like that in the near future. For now just praise me that I’ve gone at least three posts without mentioning the Chalet School …). Growing up is hard to do. It’s harder to do when you’re one of the run of the mill kids. When you’re not cool, when you’re not hot, you learn to develop your support network in other ways. Friends. The right people get you through anything. And books: books that make you think you can get out of the never-ending drudge that is school because they show you what can happen to people (kind of) like you. The Princess Diary by Meg Cabot gave me all that and more. It’s the story of Mia Thermopolis, the dorky awkward teenager who discovers she is actually princess of the distinctly ruritanian kingdom of Genovia. And oh my god it’s funny. Meg Cabot sparks off every page and just lives the nightmare that is being a teenager. The film adaptations (and Anne Hathaway, my secret girlcrush) are my guilty pleasures. I remember being on a long distance flight to New Zealand, about 402 hours in, and I turned into a sobbing wreck at the emotional journey Mia had undertaken in the film. Amazing. Although slightly embarrassing for the dude sat next to me. I really want to go to Tibet. I want butter tea. I want to see the prayer flags flapping on the mountain side and I want to witness that culture. And it’s all because of one woman. Alexandra David-Neel. Nobody knows who she is these days but by god this woman was amazing. The first western woman to enter Tibet, she adopted the appearance of a pilgrim and her and her male companion made their way to Lhasa. Vaguely normal so far, but this was actually incredibly brave. If she had been discovered she would have been thrown out of the country. She did it because she wanted to and because she knew she could. There’s a moment on their journey where her and Yongden are stuck on a mountain without shelter. It’s viciously exposed and the bad weather is coming on. It’s very much a life or death situation. But they survive due to David-Neel’s mastery of thumo reskiang, the Tibetan skill of increasing body heat. She sends Yongden off to gather fuel and settles herself down to the rite. They survive. Both of them survive a night on the mountain side without any injury. It’s an amazing, and viscerally readable story. Here’s a link to the same edition I have. It’s not in print anymore but there are a lot of second hand editions floating around. It’s a slight cheat here but I’m selecting an author. She’s never failed yet. Louise Rennison. I hate her because she’s so damn good. She’s bloody brilliant. Seriously. I’m running out of synonyms for amazing and I’ve only written seven sentences. It’s unusual for a book to leave a physical impact. I can count on one hand the books that have left me feeling winded. Micheal Morpurgo is obviously up there, but if I have to select a specific book I’ll go for The Boy in the Striped Pyjamas by John Boyne. The last few pages left me feeling physically assaulted. I still remember my genuine intake of breath when I read them, and that awful sick feeling in the stomach that what I had expected to happen had come to happen. I’ve spoken on writing about war before and I think this book justifies my argument. Sometimes the numbers are just too huge to comprehend. Sometimes you need a name and a story to latch onto. Witnessing the death of innocence that occurs in this book is one of the most awfully painful reading experiences I’ve ever experienced. I am a mean reader. I really am. I’m very aware of this. I’ve put books back because I didn’t like the font. I’ll pitch a fit over a typo. I’ve ignored authors because of the name they’ve given their lead character. I confess : I am horrendously subjective when it comes to books. 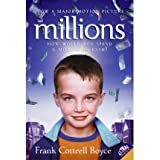 But I will never ever ignore a book from Frank Cottrell Boyce. And it’s all because of Millions. Millions is one of those books that deserves to be on the reading list for everybody everywhere. It teaches you everything you need to know about the power of love (and no, not the eighties power ballad version). Love. Love between brothers, a father for his sons, and a mother for her children. And oh my god it has the most beautiful scene in it that I’m not going to spoil now but I’m teary just remembering it. Just – go – read it – and thank me later. I am evangelical for this book and pray that one day I’ll be able to deliver something as good.